Thank you for visiting Smarti Solutions' website. Your privacy is important to us. To better protect your privacy, we provide this notice explaining our online information practices and the way your information is collected and used at this site. The types of personally identifiable information that may be collected at these pages include: name, address, e-mail address, telephone number and information about your business interests and services so we may better serve your needs. We may use the information you provide about yourself to fulfill your requests for our services, to fulfill a request by you for an online newsletter, or to contact you. Agents and contractors of Smarti Solutions who have access to personally identifiable information are required to protect this information in a manner that is consistent with this Privacy Notice by, for example, not using the information for any purpose other than to carry out the services they are performing for Smarti Solutions. Smarti Solutions will not sell or provide your contact details to any third party. We will never use or transfer personally identifiable information without also providing you with an opportunity to opt out of these unrelated uses. Although we take appropriate measures to safeguard against unauthorized disclosures of information, we cannot assure you that personally identifiable information that we collect will never be disclosed in a manner that is inconsistent with this Privacy Notice. 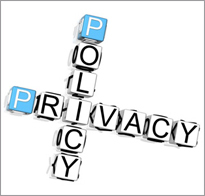 We may disclose personally identifiable information in response to legal process. We have put in place appropriate physical, electronic, and managerial procedures to safeguard and help prevent unauthorized access, maintain data security, and correctly use the information we collect online. To protect your privacy and security, we will take reasonable steps to help verify your identity before granting access or making corrections. We are not responsible for information transmitted/intercepted over the Internet by unknown parties. Visitors take responsibility for all information transmitted over the Internet.